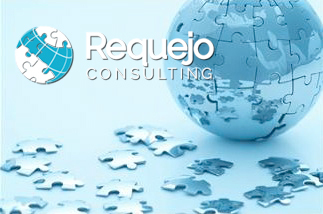 Since 1989 Requejo Consulting has been assisting clients throughout the world. The actual first assignment was in Oviedo, Asturias, Spain assisting one of the largest engineering, procurement and construction firms in the world establish relationships with the Asturiangovernment which lead to the development of a manufacturing plant in one of the most traditional areas of Spain. The region from which the name Requejo derives. From those beginnings, Requejo has selectively and progressively become engaged in a wide variety of assignments from Peru, on the CamiseaLNG ; back to Spain with one of the largest European banks, to work on renewable energy financing, to Brazil with the development of oncology laboratories, to specific in-house needs for international expansion. During quiet periods the principals of Requejo Consulting would teach courses in International Business, International Strategic Alliances and Joint Ventures and Global Negotiations at various institutions in the United States and Europe. From these academic endeavors many of the future consultants would be recruited. Now, twenty-five years later, Requejo is positioned to reap the benefits of it's long relationships.